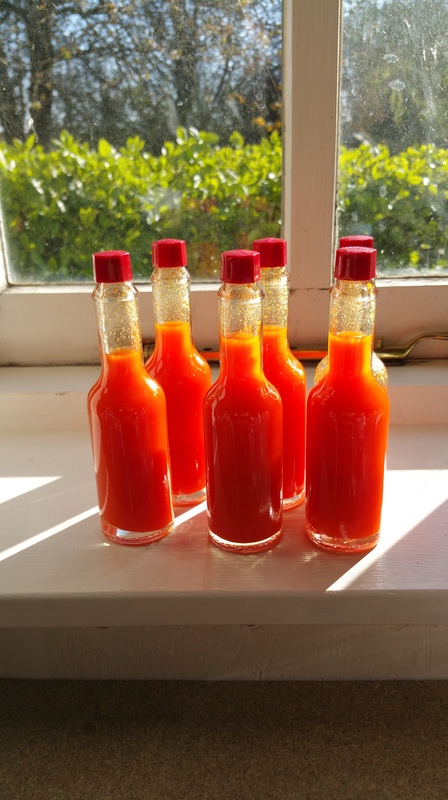 Well looky here, if it’s not another batch of hot sauce. So. This time I used a whole pack of Scotch Bonnets and two or three packs of normal “red chilli peppers” from Sainsburys. I didn’t put as much water in only added a clove garlic and a whole red bell pepper, and used a little more salt. The whole thing fermented (and developed an amusing white mould/pellicle/whatever it was – that I scraped off and discarded) and generally did it’s stuff over a period of a month or so. When the whole lot was starting to look more liquid-ey, I annihilated it in a blender until it was smooth, then strained it (lightly pushing it through the sieve) into a small pan and then briskly boiled it for a couple of minutes. After that I let it out with a third the volume of spirit vinegar and bottled it up. Funnily enough, this time around, it doesn’t separate or anything. It’s a lot hotter, too, and tastes that little bit more Tabasco-authentic. Nice. The Vinegar is a bit of crutch to ensure the low PH is achieved. As is the tradition these days, I’m handing over to Eve to give you another of her bread recipes. I took the liberty of calling the recipe Orange Glow Oaty Bread a) because it’s my blog and b) because I’m old enough to remember the Ready Brek adverts of the early eighties! Add all ingredients to the mixer bowl in the order above, without mixing yet – and also keeping back the oil for a later stage, ensuring that the yeast and the salt are kept apart on different sides of the bowl. Because all of the ingredients are layered in the bowl – with the water at the bottom and the yeast not getting wet and activated yet – I have found that you can leave it to sit for a couple of hours or so, allowing you to put children to bed/feed the baby/walk the dog, etc. It also allows time for the warm water to soak into the oats. Using the dough hook, mix on speed 1 for about 3 minutes, stopping every now and then to scrape the dough off the dough hook. If it looks dry add more water, if a bit wet add more flour. When the dough, is smooth and elastic and starts to sticks to the dough hook, it should be about right. Remove the bowl from the mixer, and pour a bit of olive oil (a further 10ml) over the dough whilst scraping down the sides of the mixer bowl with a rubber spatula. If you can, try and coat the entire dough ball in oil, which will prevent it drying out. Cover the mixer bowl with a plastic disposable shower cap and put it somewhere warm for at least an hour until the dough doubles in size. 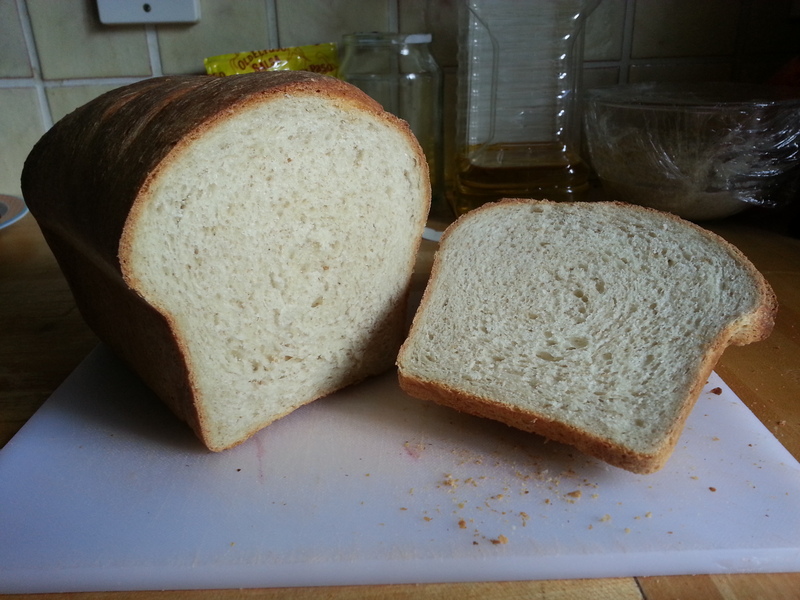 The dough may be a bit slower than normal to rise as the Ready Brek is lower in gluten than the white bread flour, so it slows down the rising process a little. Oil the work surface and your hands then tip the dough out of the bowl and divide into two. Flatten each lump of dough into a rectangle and roll it up into a Swiss roll shape – being sure to tuck the ends of the dough underneath. Place each rolled loaf into a oiled bread tin, inside an upside down carrier bag and put it in a warm place for the second prove. It took my dough about 35 mins to rise the second time. So, pop the oven on to 200C (fan oven) about 20 minutes into the second prove. When fully risen, remove from the bags, slash the top of the loaves lengthways and place in to the oven gently, cook for 30 minutes or until the top has a nice nut brown colour and the loaf sounds hollow when tapped on the bottom. When cooked, remove from the tins and allow to cool down on a wire rack. 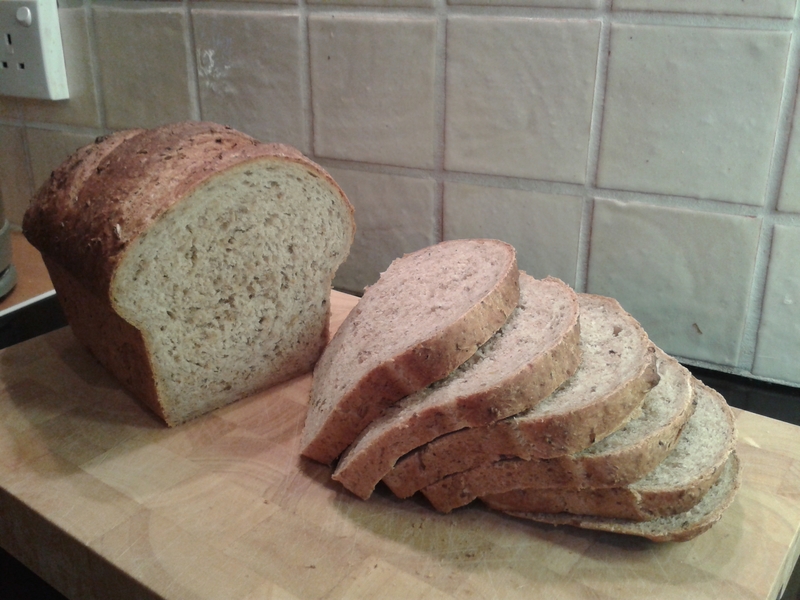 Enjoy the lovely moist texture and subtle oaty flavour of the loaf. 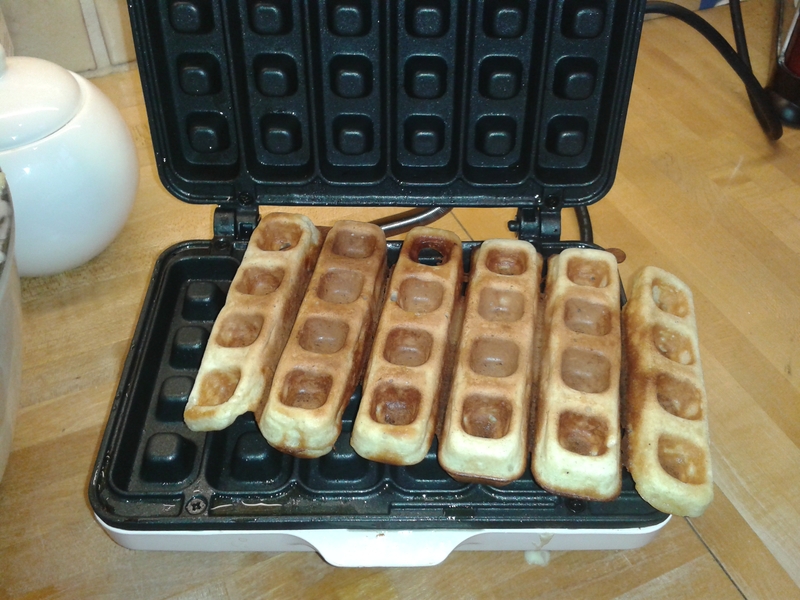 60g butter, melted plus extra for greasing. Serve with one or a combination of the following: maple syrup, fresh berries, fruit compote, hot chocolate ganache, whipped cream or ice cream…depending on the time of day and how decadent you are feeling. Eve has this great method for getting a lot of that sourdough taste and chewiness in way less time and with much more of a rise! 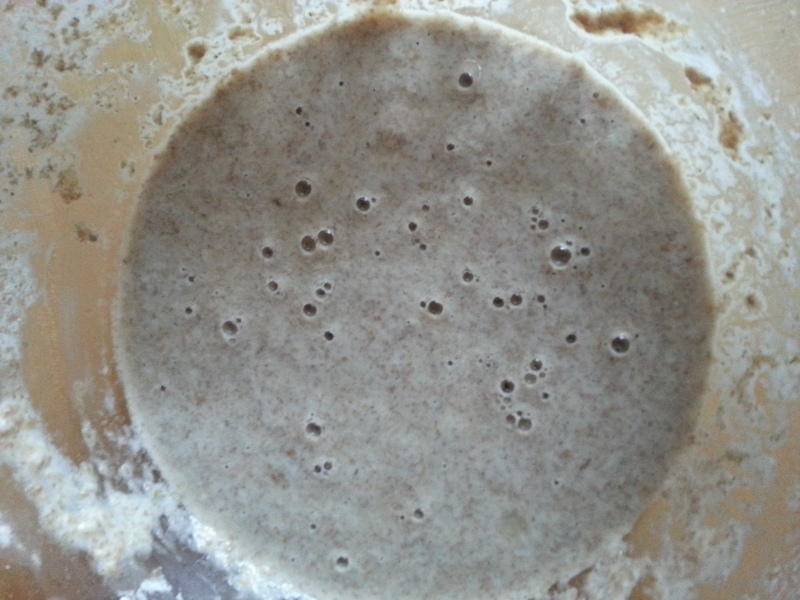 Get a reasonable handful/cupful/half-a-mug-full of unbleached wholemeal flour – organic if you can; apparently fresher is better as this increases the chances of there being some good viable wild yeasts contained within it. Add some tap water to the flour and combine until you get a sloppy mixture the consistency of thickish double cream. Now beat the daylights out of the mixture with a whisk…you’re looking to really aerate it, this will give any yeast present the air it requires and also brings in any airborne yeasts that happen to be floating about. Lastly put a couple of unwashed grapes into it…grapes are notorious harbourers of wild yeasts, so we’ll have some of that thank you very much. …and a strong yeasty/sour smell. Don’t be put off by this. 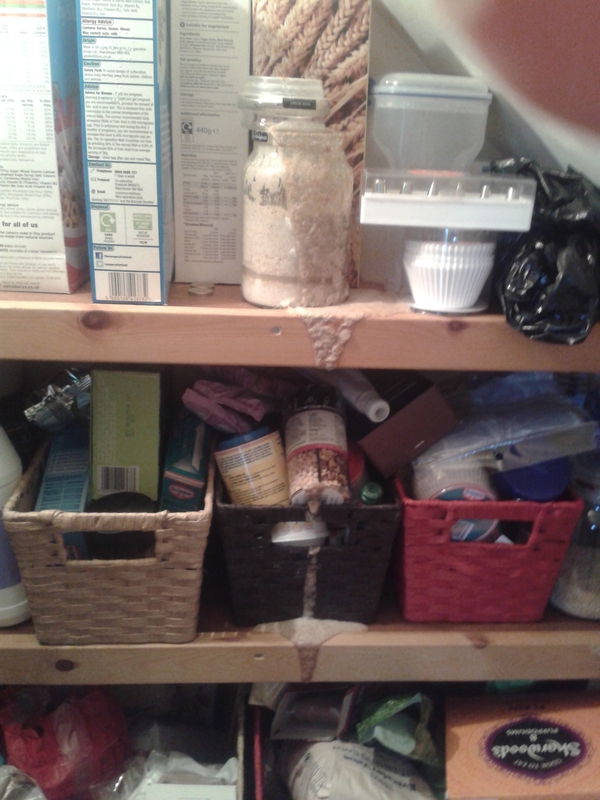 Although if it’s really rank -and believe me you’ll know when it’s off; the smell of dying yeast is unbearable- you should dump it, wash everything up and start again. Assuming that everything is OK, you should divide the mixture in half and discard one half (plus the grapes) and make the volume of the remaining half up to a little more than where you were before with more flour and some water, this will give your little colony more food to eat. Remember you’re still aiming for that double cream consistency. You need to now halve and re-feed your starter every day for the next few days (about a week). Once a week has gone by you can start using the discard half as a sourdough starter for loaves or you can give it away to friends so that they can maintain their own sourdough starters. Once you’re up to a reasonable volume of starter, you can keep it in the fridge and feed it occasionally – that means you’re slowing the fermentation down a bit and can use it whenever you need to bake, being careful to replenish as you use it with more flour and water. 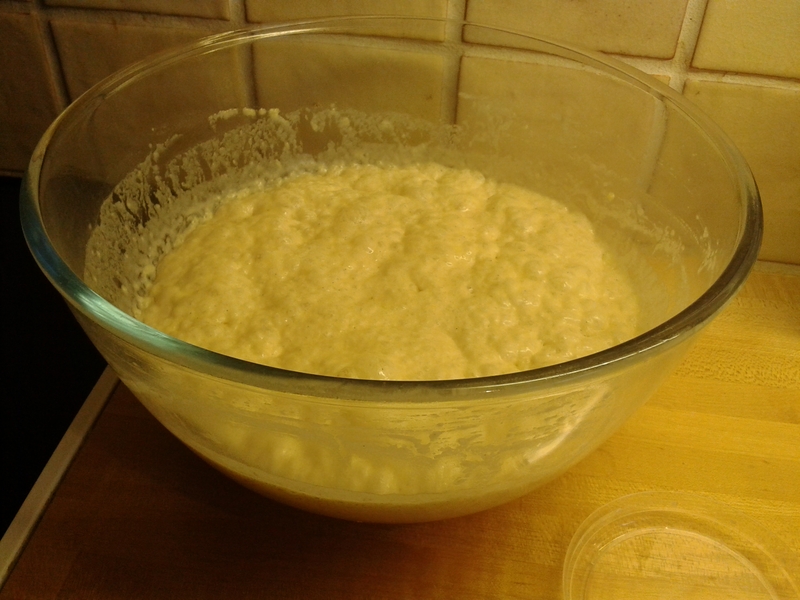 …and replace some of the liquid content with the equivalent sourdough starter. That’s all there is to it. 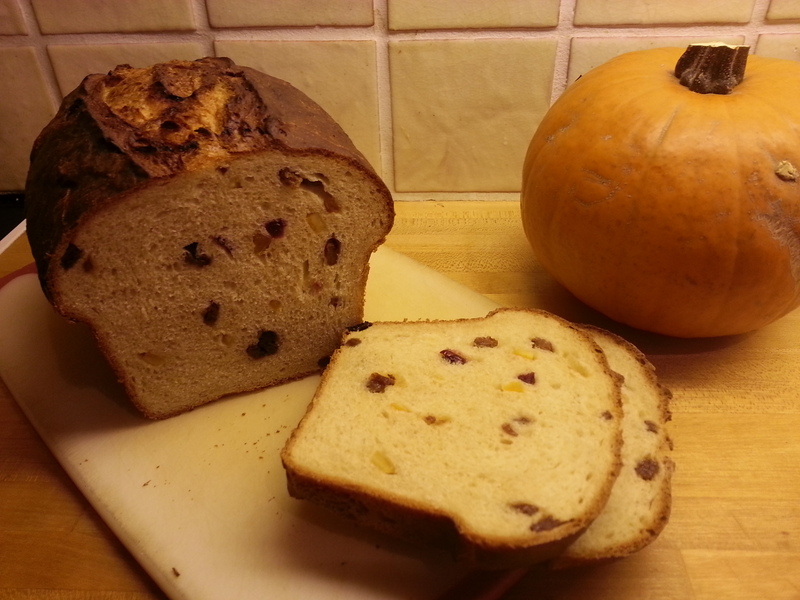 It’s a guaranteed, dependable rise and has a really lovely sourdough flavour…. 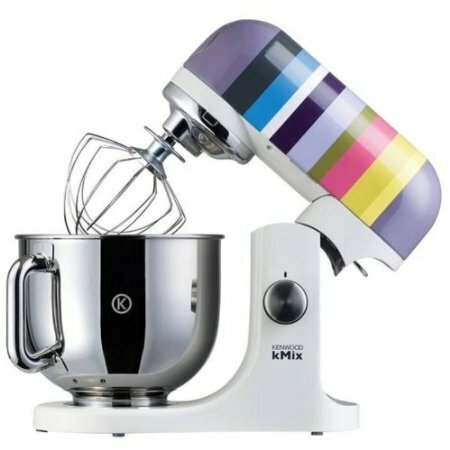 Due to pregnancy and the ensuing stretchy ligaments that make dough kneading a pain, Eve e-bayed herself a decent second-hand Kenwood K-Mix (I also think she just fancied one too!) but couldn’t for the life of her find any exact instructions on how to make a bread dough in it. After multiple experiments, much cursing and several slightly flattened loaves, we came up with a method that works for us. 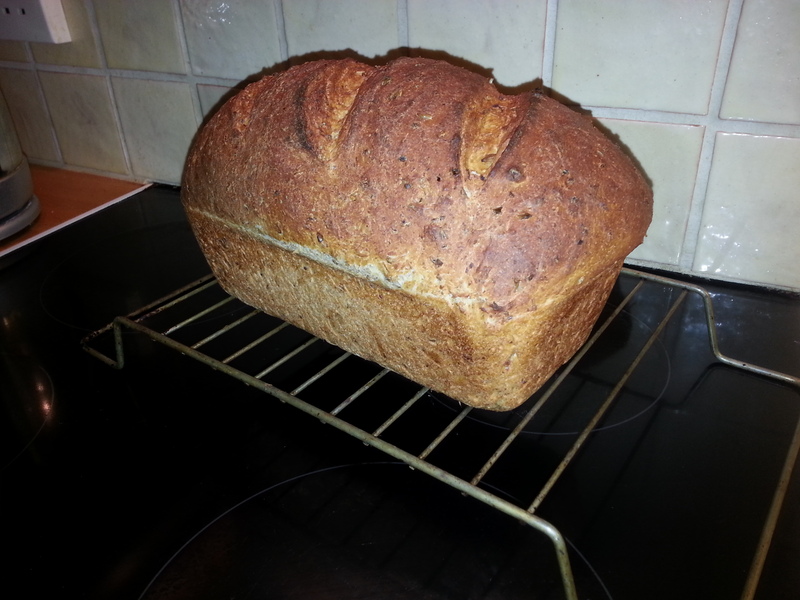 The ingredients are based upon Paul Hollywood’s Basic Bread recipe, but the method is all ours! Make sure that your oven is pre-heated to about 200c, with an old baking tin in the bottom. Now gently place the loaf into the oven and pour a small glass of tap water into the old tin at the bottom of the oven – the steam helps the crust to get crusty! After about half-an-hour of cooling the new loaf can be sliced and enjoyed with a spread of butter! No mixer, or can’t knead bread? Try the “No need to knead” bread recipe!